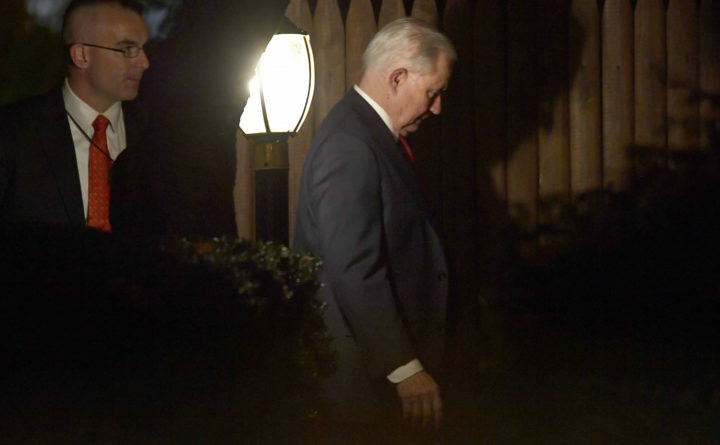 Jeff Sessions returns to his home in Washington on Wednesday. Sessions was pushed out Wednesday as attorney general after enduring more than a year of blistering and personal attacks from President Donald Trump over his recusal from the Russia investigation. Sessions told the president in a one-page letter that he was submitting his resignation "at your request." WASHINGTON — Attorney General Jeff Sessions was pushed out after enduring more than a year of blistering and personal attacks from President Donald Trump, who inserted in his place a Republican Party loyalist with authority to oversee the remainder of the special counsel’s Russia investigation. Associated Press writers Jonathan Lemire, Mary Clare Jalonick and Ryan Foley contributed to this report.